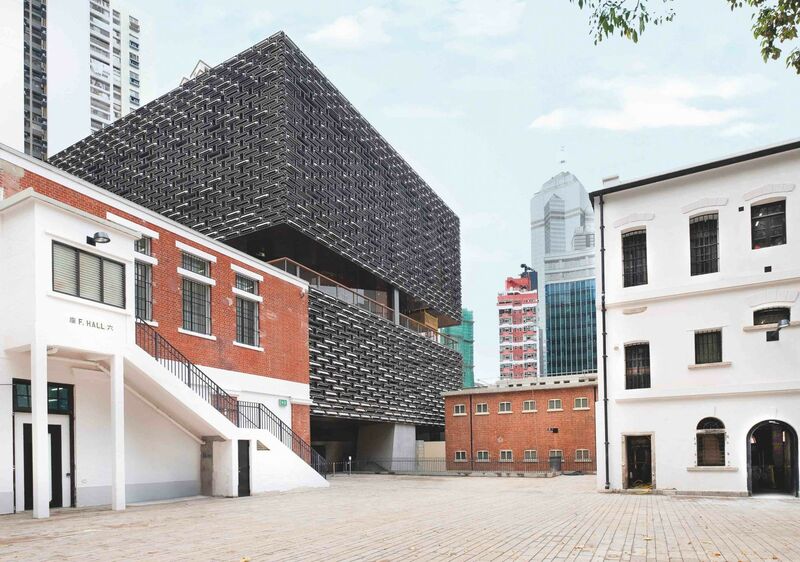 It’s been eight years in the making and has cost the Hong Kong Jockey Club a staggering HK$3.8 billion, but—after countless delays and dramas—the Tai Kwun Centre for Heritage and Arts finally opened its doors today, giving new life to the colonial-era Central Police Station complex. Before you go, here are five things you need to know. Hong Kong is home to many of the world's leading commercial galleries but has always lacked a museum-standard not-for-profit art space. Tai Kwun Contemporary fills that gap. Led by Tobias Berger, Tai Kwun Contemporary has more than 1500 square metres of exhibition space and will host six to eight exhibitions every year. It's hosting two inaugural exhibitions: a group show titled Dismantling the Scaffold, which has been curated by Christina Li of Spring Workshop, and an exhibition of new work by Hong Kong artist Wing Po So. Dismantling The Scaffold is on from June 9—August 15 and Six-Part Practice: Wing Po So Solo is on from May 29—August 15. Tai Kwun is a masterstroke for architects Herzog de Meuron. The Swiss studio has thoughtfully restored the sixteen heritage buildings in the compound and successfully added two boxy, dramatic new buildings that poke over the old Victoria Prison walls. Inside Tai Kwun, all of these spaces are linked by elegant walkways and sculptural concrete staircases. This mixture of old and new—framed by the backdrop of Central's skyscrapers—is sure to make Tai Kwun a hit with both architecture fans and casual visitors. Several prominent restaurateurs and dining groups are opening spaces in Tai Kwun. Entrepreneur Yenn Wong is behind a casual restaurant called Old Bailey, which showcases cuisine from China's Jiangnan region; the restaurant group French Creations is opening a new concept called Café Claudel; and Kee Club’s Christian Rhomberg is opening an 8,000-square-foot restaurant called Madame Fu, to name just three of the options. Throughout the year, a variety of site-specific performing arts shows will be presented around Tai Kwun. To mark the opening, Tai Kwun has partnered with Le French May and La Compagnie des Quidams to present Dreamlike Horses, a show featuring enormous, inflatable puppets. Elsewhere on the site, the Yat Po Singers, Hong Kong's first and leading a capella group, present This Victoria Has No Secrets, a musical journey inspired by Victoria Harbour. Dreamlike Horses and This Victoria Has No Secrets are on from May 29—June 3. The Tai Kwun complex is not a private development—it's been designed and restored for the public. Open from 11am to 11pm every day, Tai Kwun provides some much-needed public space in the heart of Central. Want to learn more about Tai Kwun? Finally, you can now go and see it for yourself. Yenn Wong Singaporean force behind the JIA Group of restaurants and bars, including Duddell’s and Chachawan.